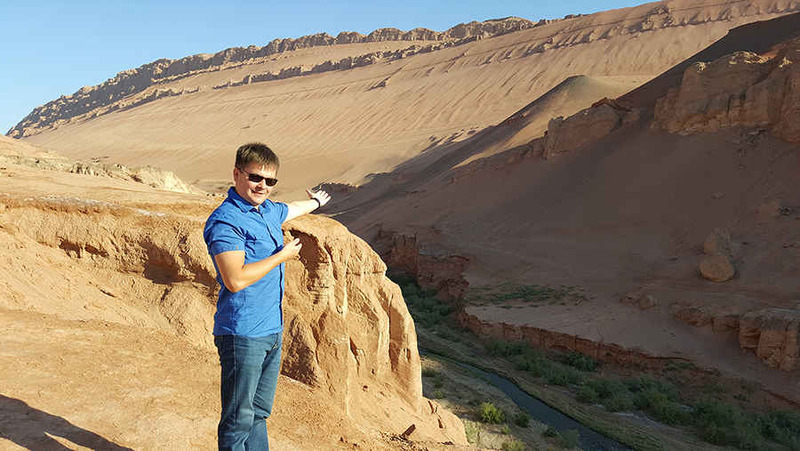 Your guide will pick you up at Manas International Airport and accompany you to the capital city of Kyrgyzstan, just a 30-minute drive from the airport. The first half of the day is dedicated to a guided tour of Bishkek. It includes visiting Pobeda Square (Victory Square), Duboviy Park (Oak Park), Central Ala-Too Square, National Philharmonic, and many others places of interest. After lunch you will be transferred to Chon Kemin gorge. On route to the gorge you will visit Burana Tower. 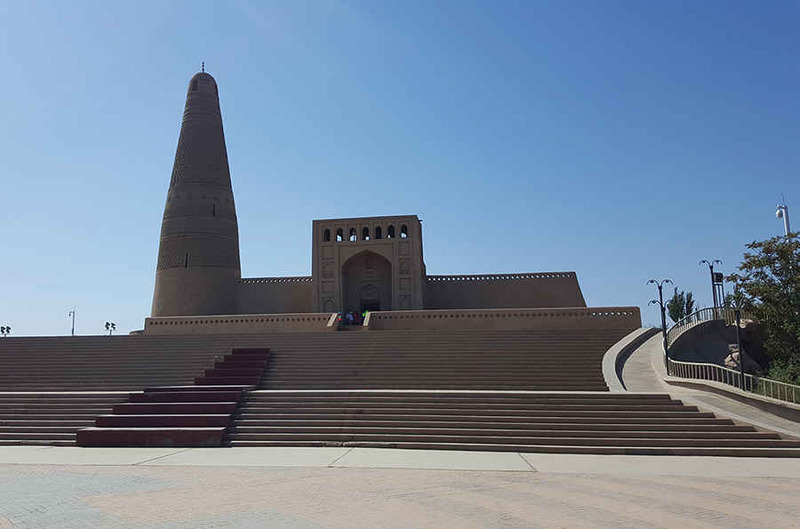 It is a minaret dating from the 11th century. You can climb to the top if you wish to experience the same view that Silk Road travelers saw themselves. Nearby you will see an open air museum of Balbans (stone warriors). On this night you will have the opportunity to enjoy a home stay, and a Kyrgyz family will prepare a nice dinner for you. In the morning you will be transferred to Kochkor village. In Kochkor village a local family will show you how our national felt carpets are made. You can even learn the art of felt making and create your own carpet together with them! After lunch we will drive along high mountains to the town of Naryn. It is situated right in the gorge. The high mountains, picturesque passes, and nomadic way of life make Kyrgyzstan an irresistible travel destination. Views of this mountain road are absolutely breathtaking. You will drive over mountain pass at an elevation of 3000 meters. This day offers a great chance to experience the variety of mountains which make Kyrgyzstan so popular. On the route it will be possible to meet real nomadic families. Night will be in a guesthouse. Early in the morning you will be transferred to the Tash Rabat Caravanserai on the Great Silk Road (Stone Castle from the 14th century). The building is unique. Tash Rabat is located at the very heart of Tian Shan Mountains. Tash Rabat was built of stone blocks inside a mountain at an elevation of 3200 m above sea level. In total there are 31 rooms in the mountain. The walls are 1 m thick. There are also underground prison cells formerly used to incarcerate thieves in ancient times. After the excursion we will drive to Kyrgyz-Chinese border. 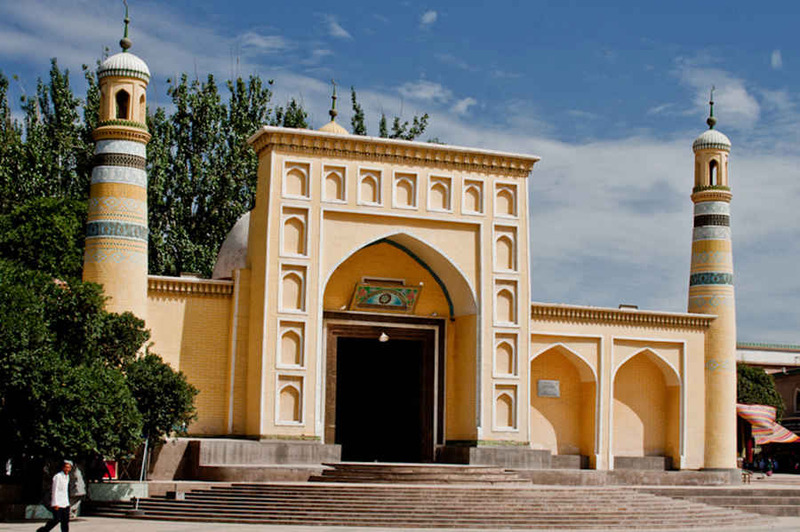 Chinese guide will meet you there and you will drive to Kashgar city. Dinner is in the national restaurant. Night is in a hotel. Today we will visit Id Kah Mosque. 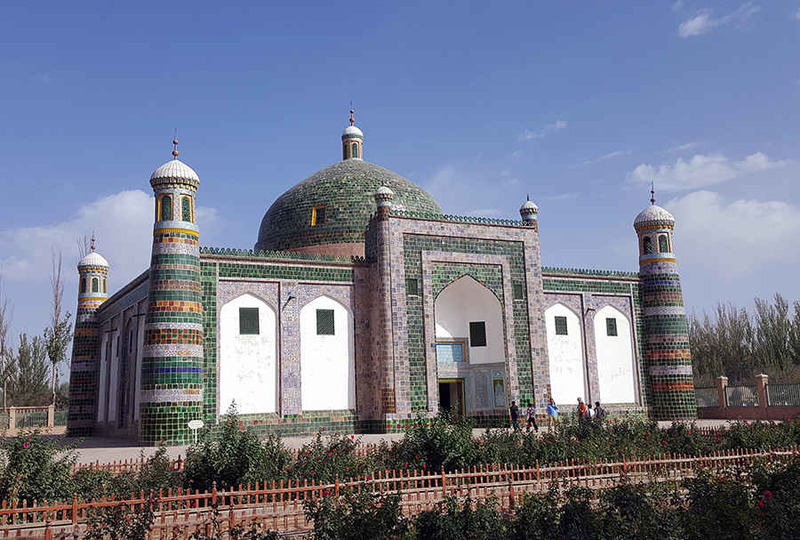 It is the largest Mosque in China and the most famous one in Xinjiang. Afterwards we will continue to Apak Hoja Mazar. It is a holy place and an architectural treasure. Built in 1640 it is reminiscent of the Central Asian artistic style of Samarkand or Isfahan. In the afternoon we will drive to Old Town. 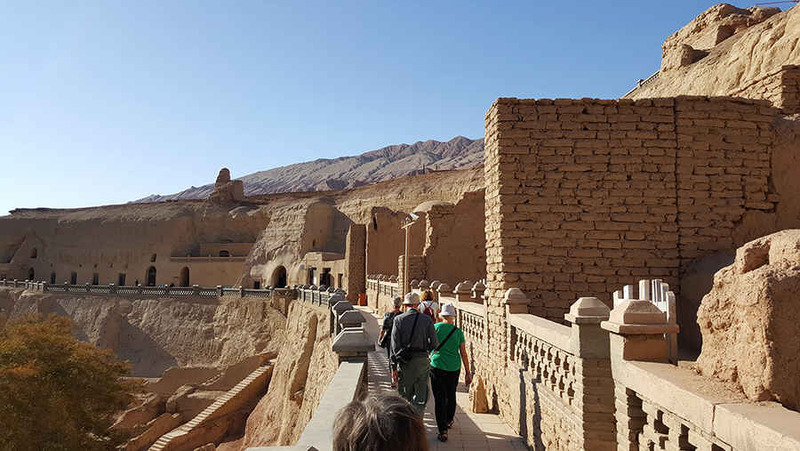 Kashgar is an ancient city, and while walking along the streets of its Old Town, you will get a sense of what this legendary Central Asian hub was like in the days when the Silk Road was at its zenith. You will be really impressed by all these unusual views. This day will leave lasting impressions. National dinner will be at 7 p.m. Night will be organized in a hotel. In the morning you will have a flight to Urumqi. There you will visit History Museum. After it we will drive 150 km to famous Turpan region. It is situated in a mountain basin at an elevation of 30 m (98 ft) above sea level. And there is also the lowest point of China at the bottom of dried lake - minus 80 meters above sea level. Turpan has dry climate and it is the most famous place for grape gardens. Turpan has been long time the center of a fertile oasis and an important trade center. It was historically located along the Silk Road, at which time it was adjacent to the kingdoms of Korla and Karashahr. Night is in a hotel. In the morning we will drive to famous Flaming Mountain and after them visit the Bezeklik Thousand Buddha Caves. It is one of the most important Buddha grotto relics in Xinjiang Uygur Autonomous Region. It was built during the Northern and Southern dynasties (386-589) and for 700 years, it remained the Buddhist center of the Western Regions. Then we will drive to visit Emin Minaret. After it we will drive to the Ancient City of Jiaohe. 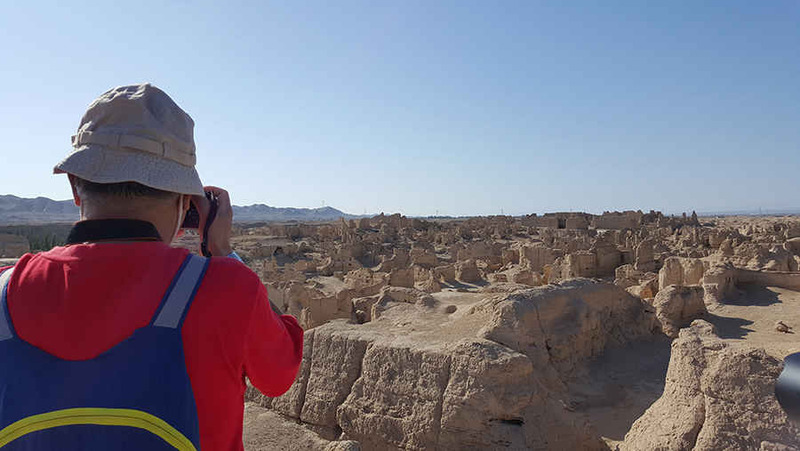 It was the capital of the former Gushi Kingdom, which was first built in 60 BC to the west of Turpan City. It has a long history of about 2,300 years. It is the largest and best preserved ancient city built from compressed earth anywhere in the world. Then we will drive back to Urumqi to have a flight to Xian. Night is in a hotel. Today you will visit Terracotta statues. It is considered one of the greatest archaeological sites in the world, and one of the greatest discoveries of the 20th century. It is significant because the hundreds of detailed life-size models represent the army that triumphed over all other Chinese armies in the Warring States Period 2 200 years ago. Why Were the Terracotta Warriors Made? 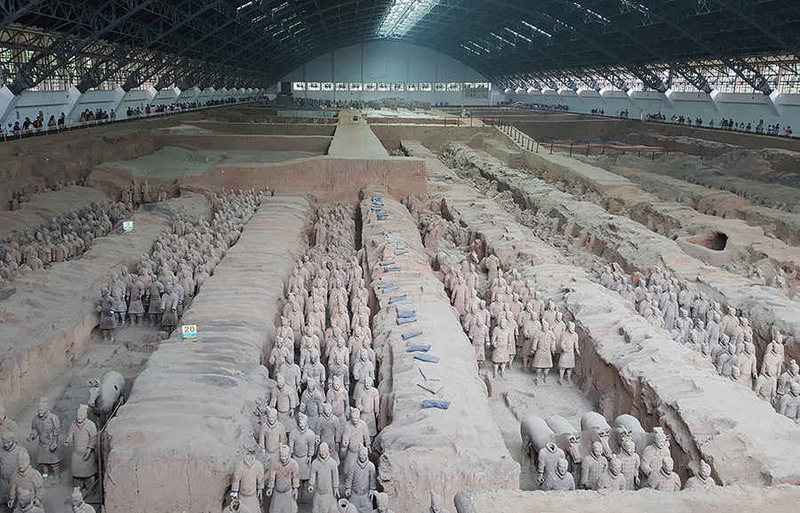 First Emperor Qin ordered the creation of this army to be buried with him: as a show of his glory, and because it was believed that objects like statues can be animated in the afterlife, and Qin Shihuang required an after-death army. Then we will drive to visit Imperator luxurious palace - Huaquings Hot Springs. You will have time to walk around to see its garden. In the evening you will see Tang Dynasty Dance show. Night is in a hotel. 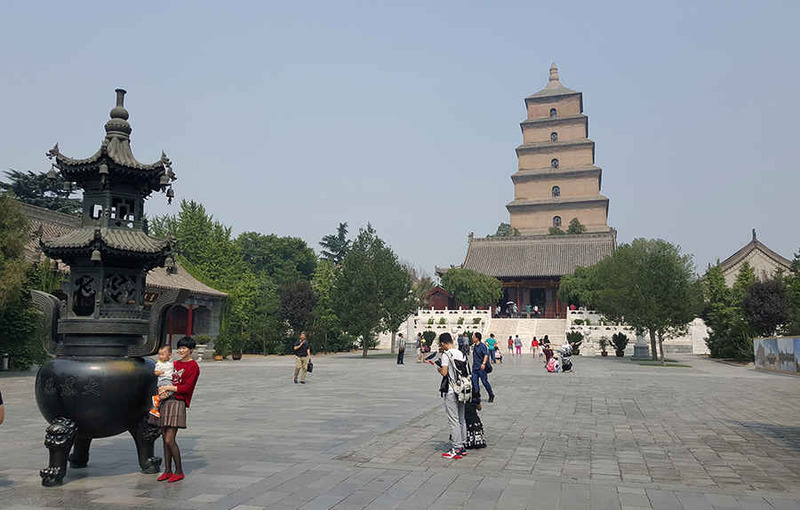 Today we will drive to see Wild goose Pagoda. It is a well-preserved ancient building and a holy place for Buddhists. It is rated as a National Key Cultural Relic Preserve. In addition, it was added to the World Heritage List. After it we will visit Muslim quarter, where you will see amazing bazar. 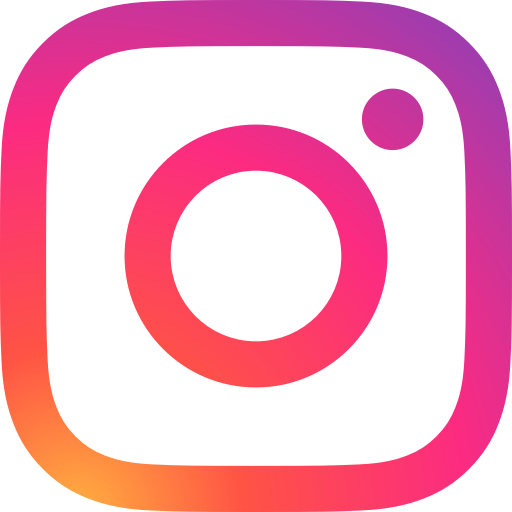 We will show it to you today and you will be able to take a lot of dynamic photos of bustling local life. This bazaar is a noisy and colorful tapestry of fabrics, produce, and people selling and buying goods. Then we will walk to see City Wall. In the evening is a flight to Beijing. Night is in a hotel. 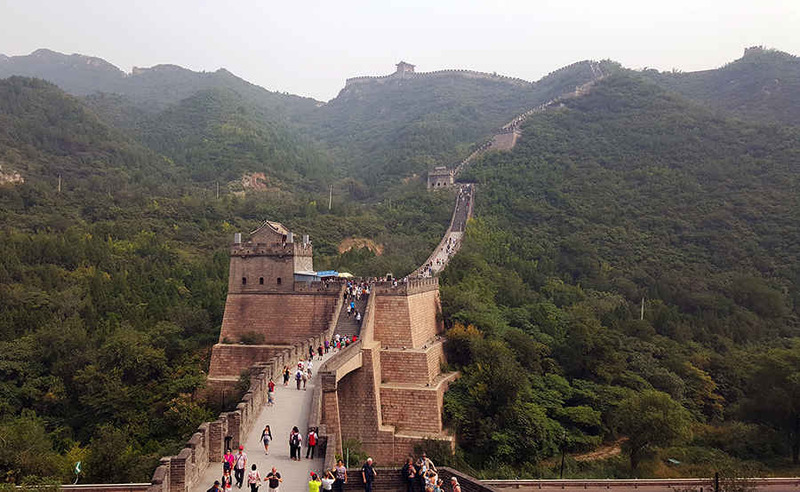 Today you will have a great chance to visit The Great Wall. It is one of the greatest wonders of the world, was listed as a World Heritage by UNESCO in 1987. Just like a gigantic dragon, it winds up and down across deserts, grasslands, mountains and plateaus, stretching approximately 13,170 miles (21,196 kilometers) from east to west of China. With a history of more than 2 000 years, some of the sections are now in ruins or have disappeared. However, it is still one of the most appealing attractions all around the world owing to its architectural grandeur and historical significance. 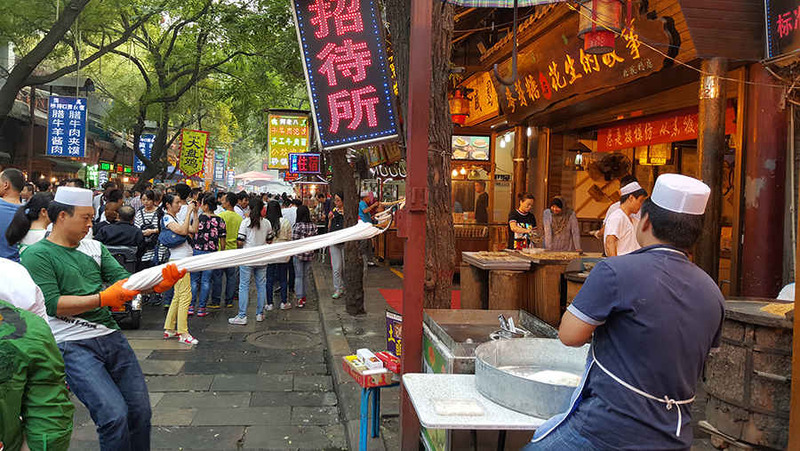 After you will have a city tour of Beijing. Night is in a hotel. 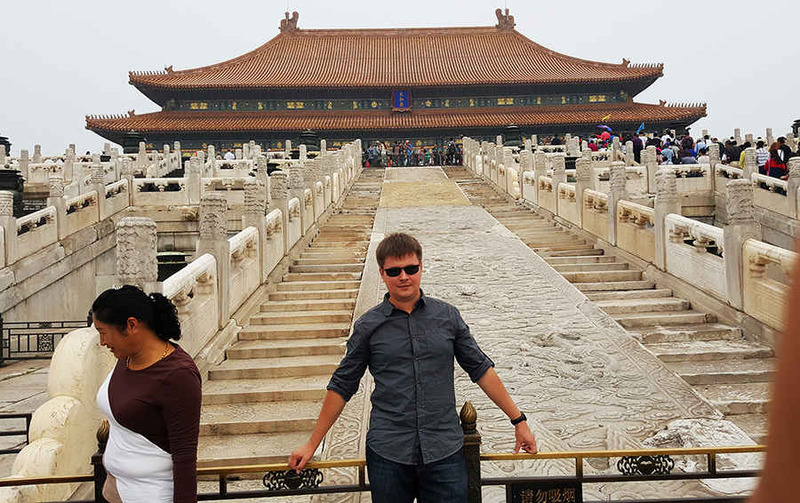 In the morning you will visit Forbidden City. 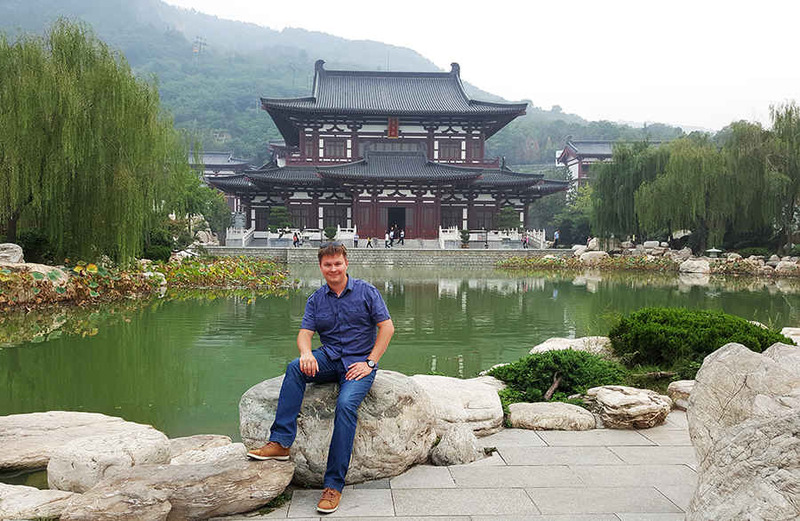 It was the imperial palace for twenty-four emperors during the Ming and Qing dynasties. It was forbidden to enter without special permission of the empeor. Hence its name "The Purple Forbidden City", usually 'The Forbidden City'. It is the world's largest palace complex and covers 74 hectares. Surrounded by a 52-meter-wide moat and a 10-meter-high wall are more than 8 700 rooms. 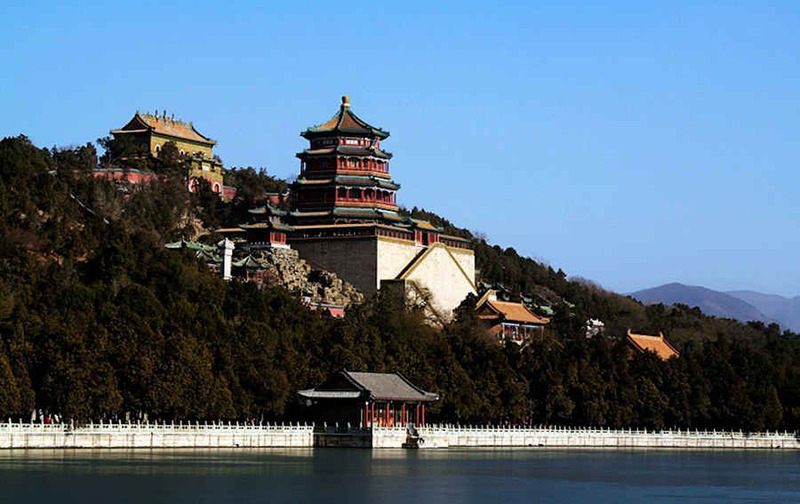 In the afternoon you will go to Summer Palace. 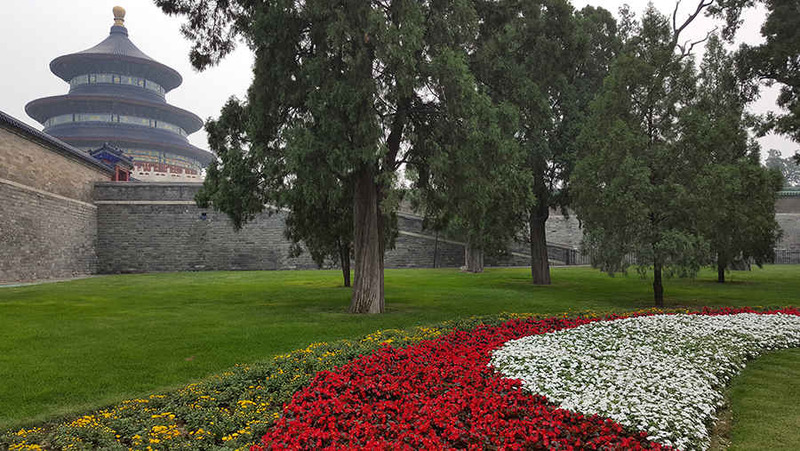 Being the largest and most well-preserved royal park in China, it greatly influences Chinese horticulture and landscape with its famous natural views and cultural interests, which also has long been recognized as "The Museum of Royal Gardens". The construction started in 1750 as a luxurious royal garden for royal families to rest and entertain. It later became the main residence of royal members in the end of the Qing Dynasty.